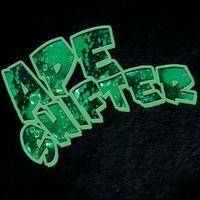 This is the second disc from Ape Shifter. 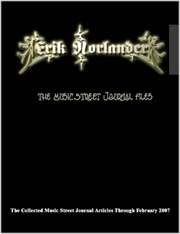 The first one is nestled in the progressive rock section of Music Street Journal. This one, though, seems a better fit under heavy metal. Every song, but the closer works under that heading as far as I'm concerned. This album is quite strong, but I prefer the previous one. Given the shift from the first disc to the second, I have to wonder where the next one will go. I'm sure it will be high quality, if what's come before is any indication. I'm just not sure what the style will be like. After the last one I would say that we can figure that it will be all instrumental. The last song on this set even challenges that assumption, though. Firing in crunchy and furious, the opening portion of this makes me think of what a mashup between AC/DC and Iron Maiden might sound like. While the metallic edge continues as this piece drives forward, there are definitely sections here that lean toward fusion. A shorter cut, this is more purely heavy metal based. It's meaty and fierce and really rocks. Even more metallic than the previous tunes, this is a powerhouse stomper that has a lot of NWOBHM sound in the mix. The guitar work gets technical and leans toward psychedelic territory at times, though. A psychedelic dropped down section takes it a bit later, but the cut fires out from there into fierce metal again. Psychedelic guitar merges with a high energy metal concept on this screaming hot number. Echoey, cleaner, guitar brings this into being. The cut launches out from there into a fusion sort of jam that has a killer bass line. It gets into more metallic territory as it marches forward. I love the metal riff that leads this thing out of the gate. It's dramatic and a bit mysterious. A chugging metal texture takes over as it continues. This is another powerful piece on a disc that's full of them. Drums start this, but once the guitar joins, the cut makes me think of Judas Priest. As it grows outward, I can also hear Iron Maiden in the mix. This is another killer metal instrumental number. There is a variant section later in the track that comes across as more proggy, with a bit of a fusion edge, but that's short lived and the more pure metal returns to end it. Fierce and fast paced, this is a mean sounding cut. It has a driving percussive element. It has some hints of industrial music in some ways, too. The opening section on this brings a bit of a prog element to the table. Once it fires out from there, though, we're back into more pure metal. This is screaming hot and meaty. Fast paced and steadily shifting and changing, this is fierce and intriguing. It has some prog built into it in terms of the steadily evolving arrangement, but is based on metal fury. Furious hard rocking metal, this isn't a huge change from the rest, but is an independent and unique number. I really dig some of the guitar riffs on this a lot. More screaming hot metallic guitar work is on display here. I dig the almost funky bass work on this. The cut makes me think of Van Halen to some large degree. Now, this is completely different. It has a folk meets world music texture that makes me think of Camper Van Beethoven a bit. It has a lot of violin in the mix, and the fact that it has vocals really makes this stand out from the rest. If the whole disc were like this, I wouldn't land it under heavy metal.